It may be surprising to realize how many people throughout the world have some type of headache condition – as much as 46% of people! 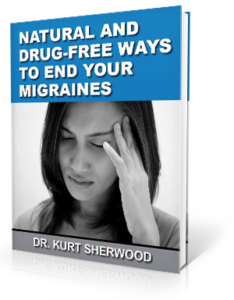 Headaches and migraines can be persistent and downright annoying. To date, the exact reason for migraines and headaches remains unknown. This makes alleviating migraines nearly impossible in most cases. Many family doctors keep prescribing one thing after another and hope to find the one that really works. The exact cause remains a mystery, but a pattern has developed among migraine sufferers. Malfunction of the brainstem has a huge impact on getting a migraine. The C1 and C2 vertebrae have the vital job of protecting the brainstem. These bones have a unique shape, allowing the head to move freely, but this can lead to instability and misalignment. When a subluxation occurs, blood flow and oxygen to the brain may be inhibited. This creates the right conditions for a migraine to ensue. Some think medication is the answer, while others might try a number of herbal remedies. These may bring relief on some level, but it is temporary unless the underlying cause – the misalignment in the vertebrae – is addressed. These solutions may also carry with them unwanted side effects. Is there a better solution that really gets to the root of the problem? Upper cervical chiropractors undergo special training that equips them to find the small misalignments of the neck that are causing problems within the body. Once the location of the misalignment is found, we employ a gentle technique to help the bones to move back into place, thus allowing the body to heal and blood flow to return to normal. Many see a decrease in the severity and frequency of migraines, while others see them go away entirely.